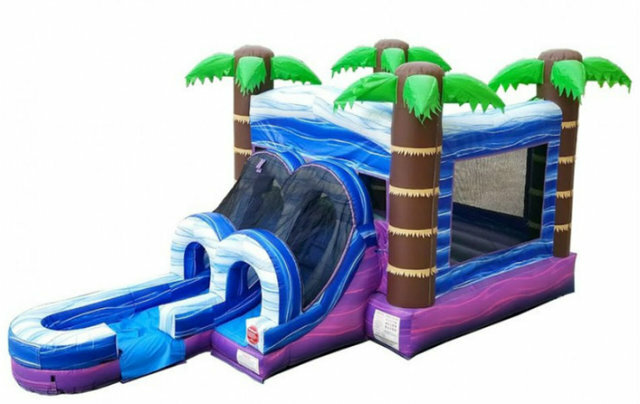 Actual Size: 26' x 13' x 14' 6"
Kids Tropical Combo is a perfect alternative to bounce houses! This Combo has a full bouncer area, a climber, slide, and basketball hoop, it’s a 4in1 inflatable combo. Perfect for younger kids ages 2 to 6 years old.